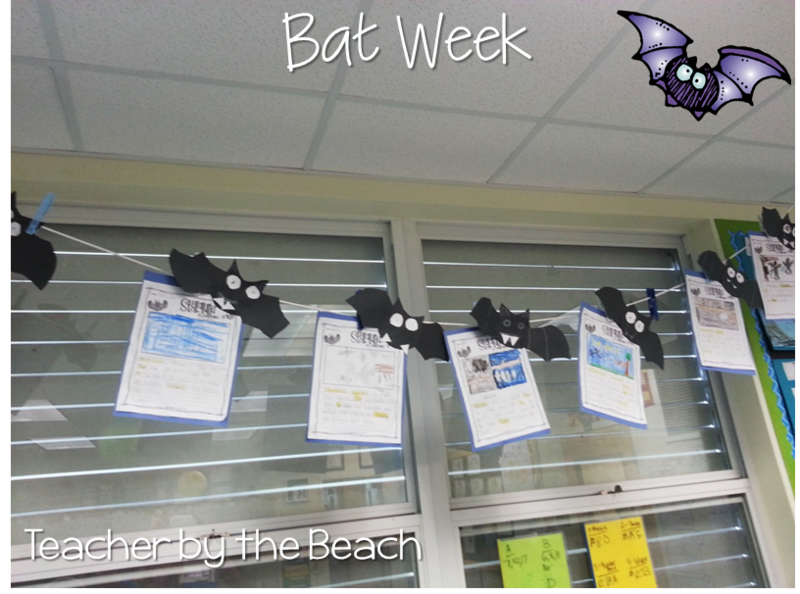 Bat Week: Reading, Writing, and Poetry - freebies included! 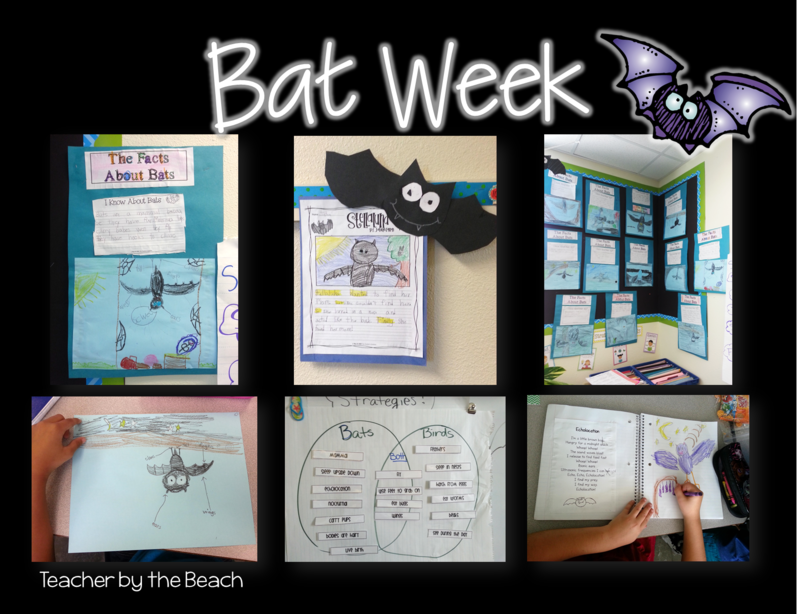 Last week was one of my favorite weeks - BAT week! Here are some of the books that are in my collection at school to read during the week. 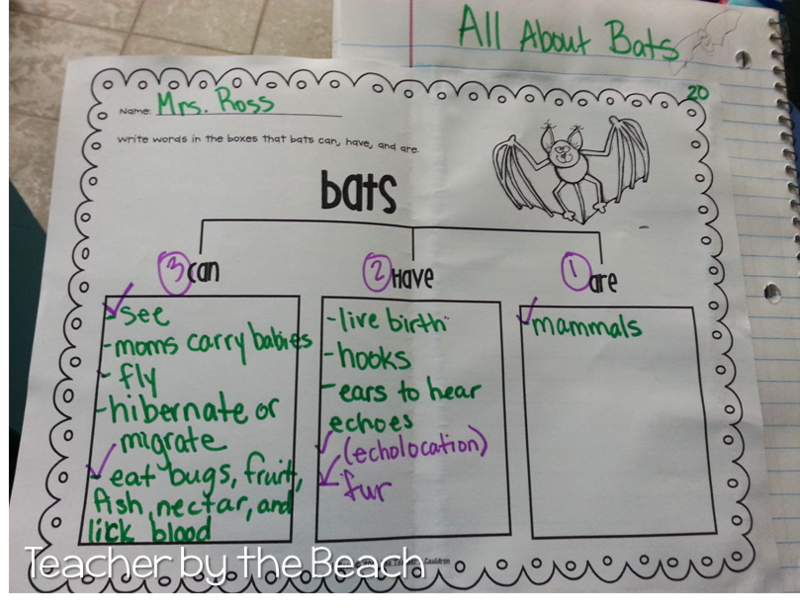 After we read one of the NF books, we started in on the Bats Tree Map. 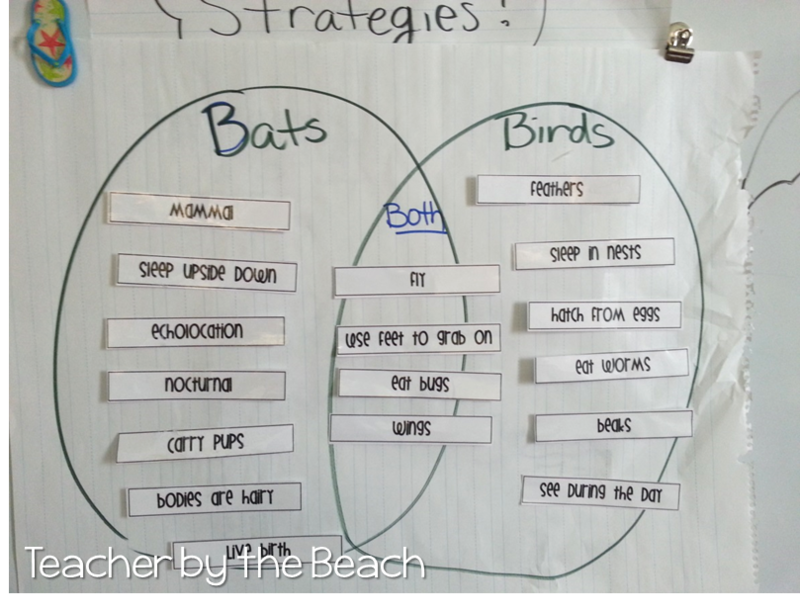 The numbers and checkmarks are from when we used this as our planning sheet for our Facts About Bats Writing. We glued it into our reader's notebook and kept adding to our tree map throughout the week. 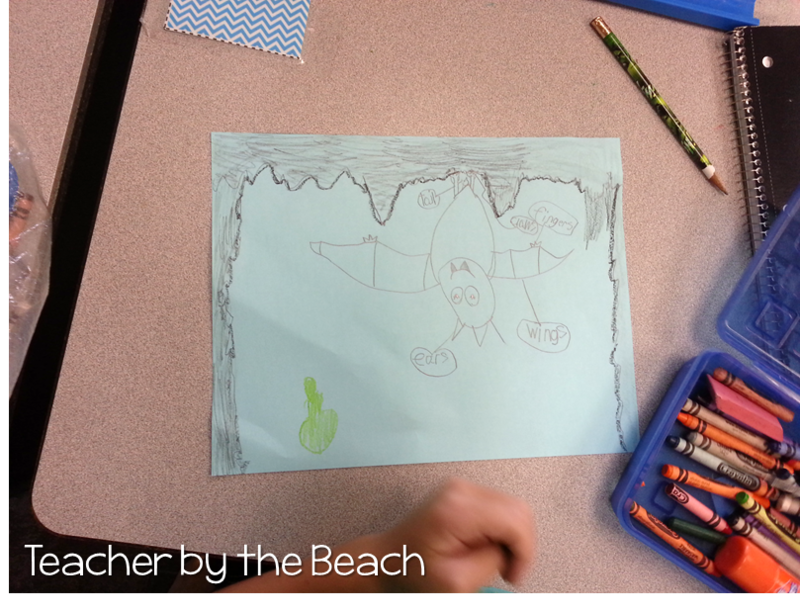 We also learned how to draw a bat. 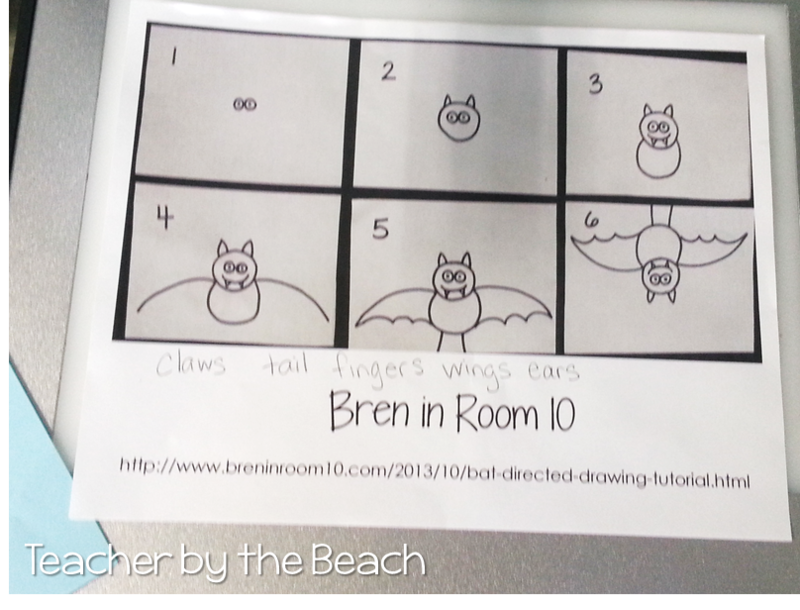 I found this OH SO CUTE directed drawing from Bren in Room 10. When I made the print up for it, I made sure to put where I got it... because I knew I'd forget - ha! One of the best things I like about directed drawings is that I get to learn how to draw too - haahaa! 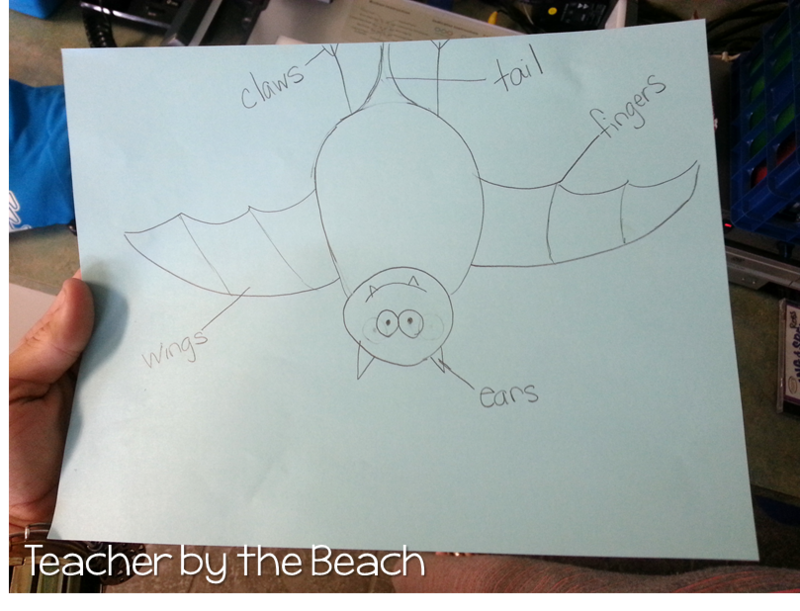 I had my kids add a few more details so we could label the actual parts of the bat. 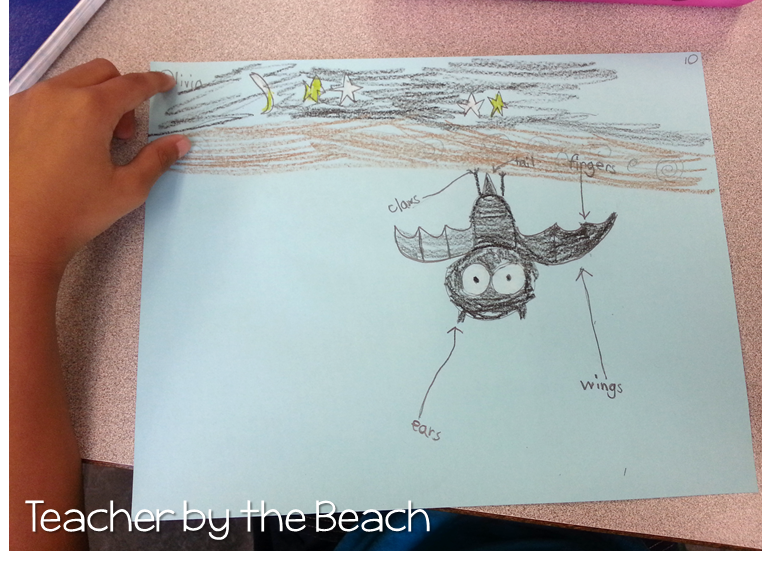 Then I had them draw the habitat that they would be living in....some got so creative! Here's a cave. And then the treebranch...I just love the artistic abilities that these kids have! One of my favorite things that I purchased in the beginning of my blog following career is the super sentences from Sailing Through First. I used them a lot for 2nd grade, but I can tell already that they are going to be even better for my little 1st graders! 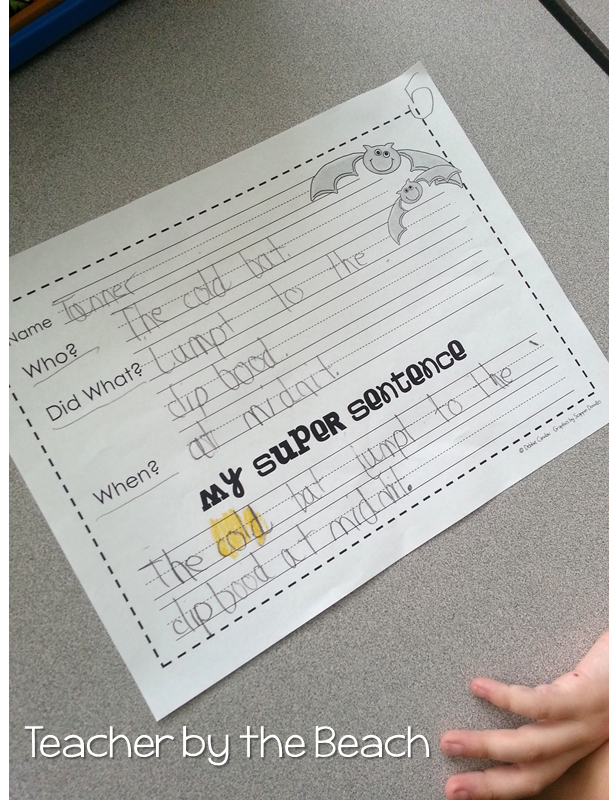 We made sure to add an adjective to our writing this time, since we've been working on adjective a lot lately. 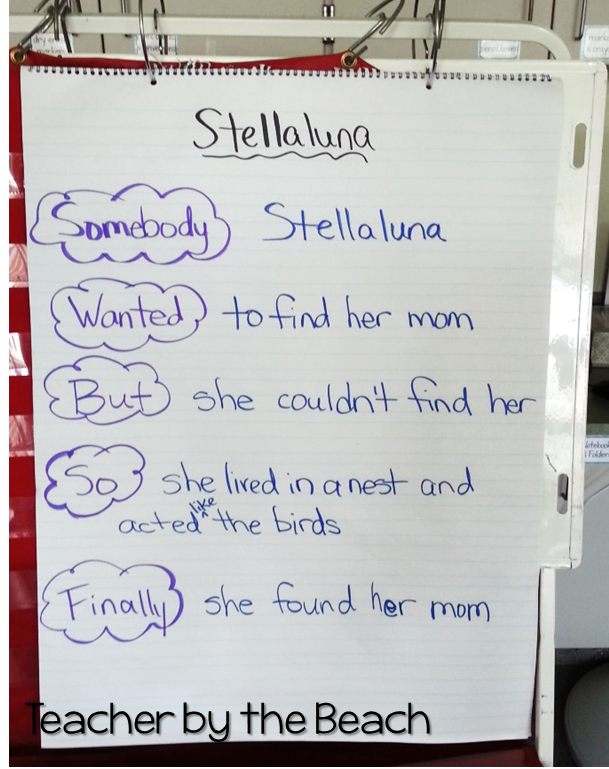 After we read Stellaluna, we did our SWBSF (found in my Bat pack) that they wrote in their reader's notebook. Then they wrote it out in paragraph form. They had to highlight the "cue" words to make sure they were writing the events in order and to make sure they included all their details. I will say that ALREADY my kids are getting how to turn their notes into writing! I have a few that are still struggling, but that's ok - they're getting better! 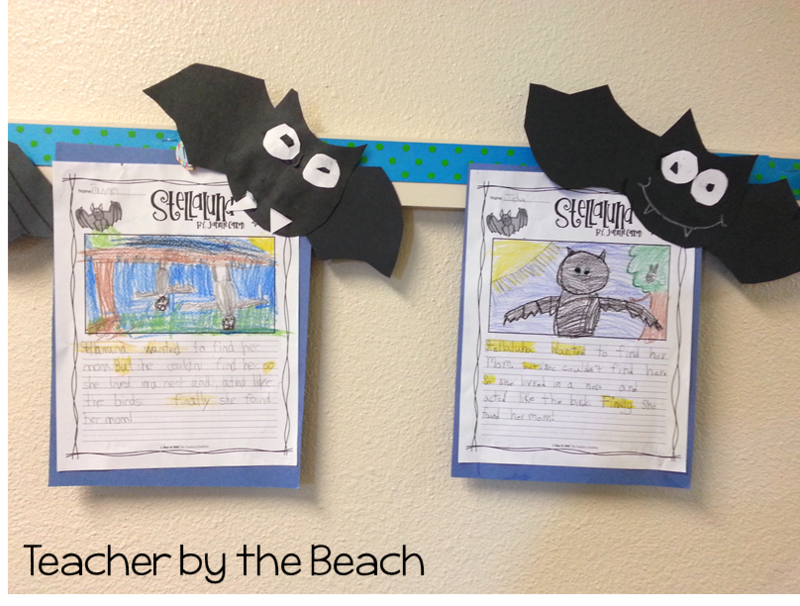 The OH SO CUTE bat is a FREEBIE craft that comes from one of my favorite ladies, A Cupcake for the Teacher. 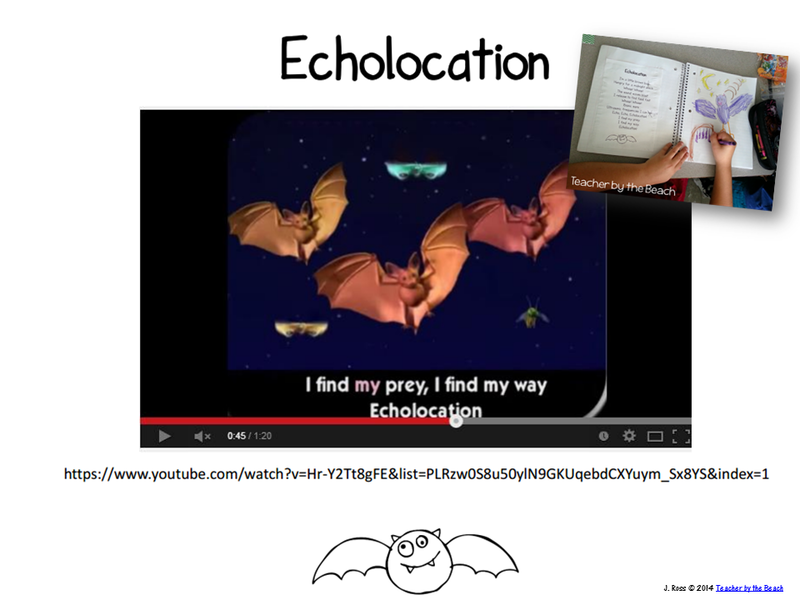 Then, we watched the YouTube video, Echolocation Song...maybe like a hundred times - they love it! 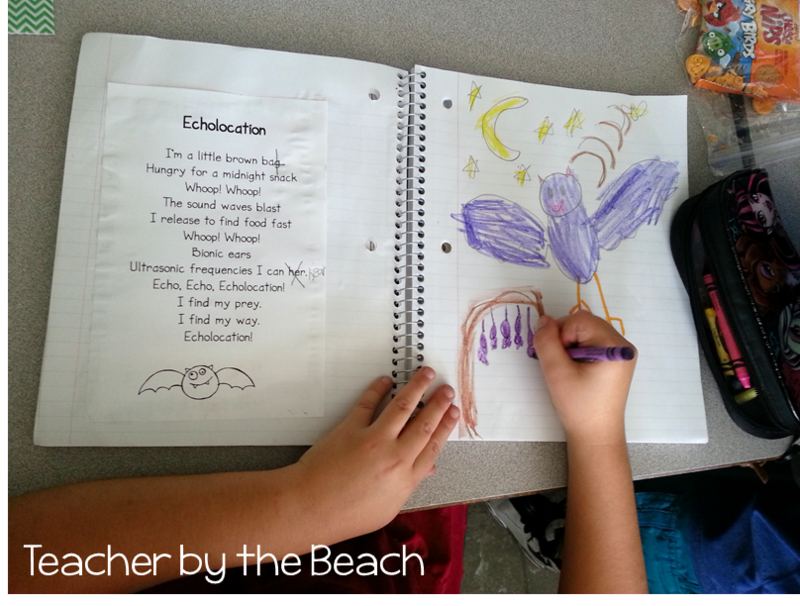 So I turned it into a song for their poetry journal and they illustrated what echolocation means. Click on the picture below to download the poem. The funniest part?? I typed up the poem in a rush one morning and didn't even have time to proofread it... and we found a few mistakes - woops!! Oh well. A good editing lesson, right? haa! Our end of the week writing project was to use our tree map to write at least 3 things about facts. Some wrote even more! 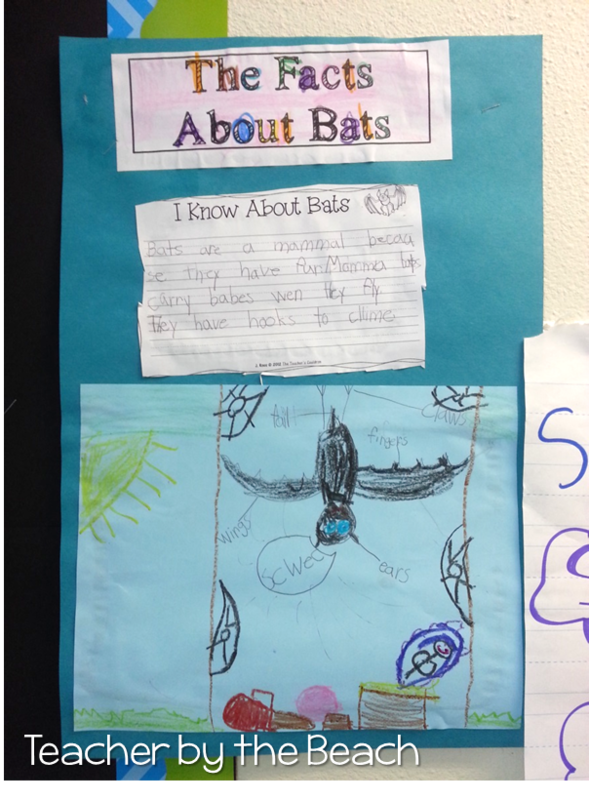 We glued the writing on top of our bat labeling picture. 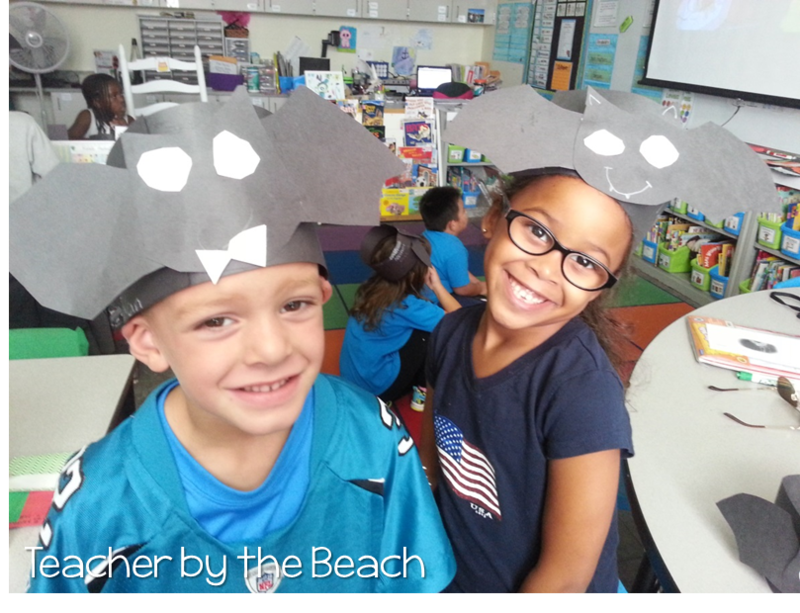 Then we did another bat craft and turned it into a hat and they wrote their favorite bat fact on the back. 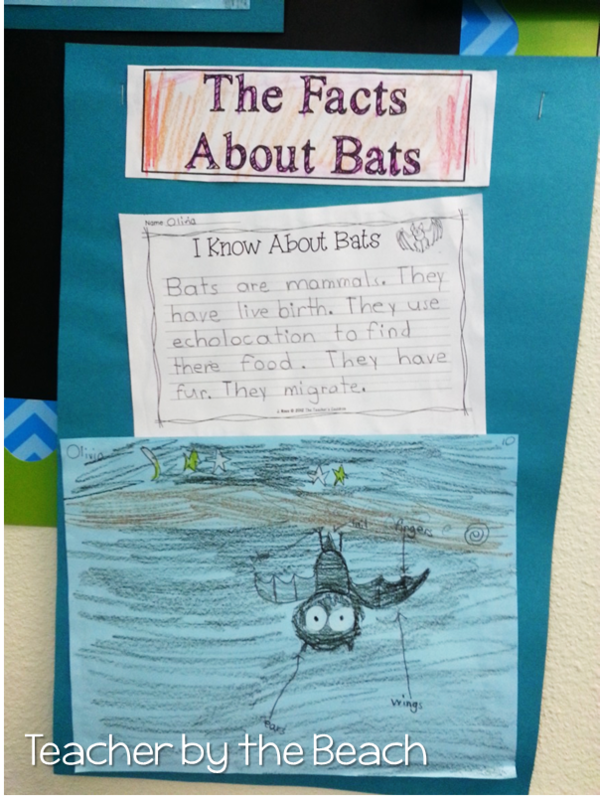 My favorite bat fact? They eat almost 600 mosquitos in an hour!! 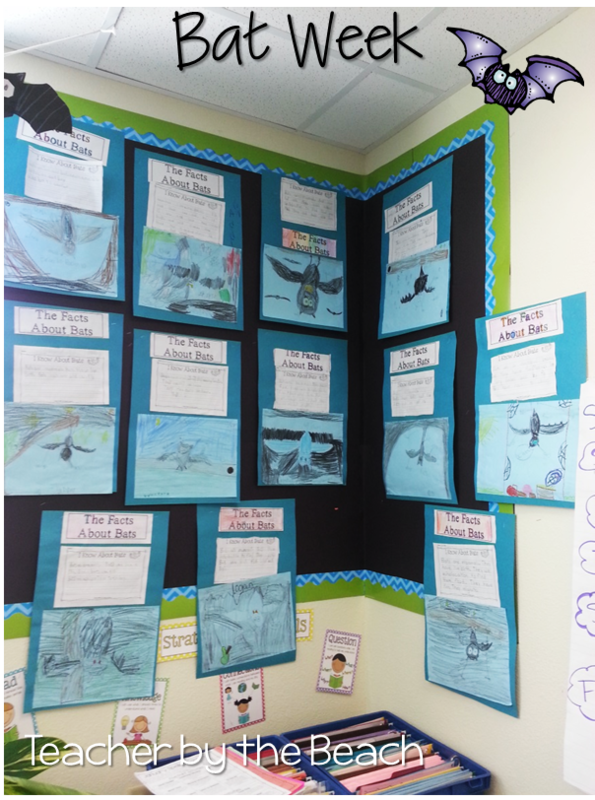 This Florida girl would like to have a bat house in her backyard, please. 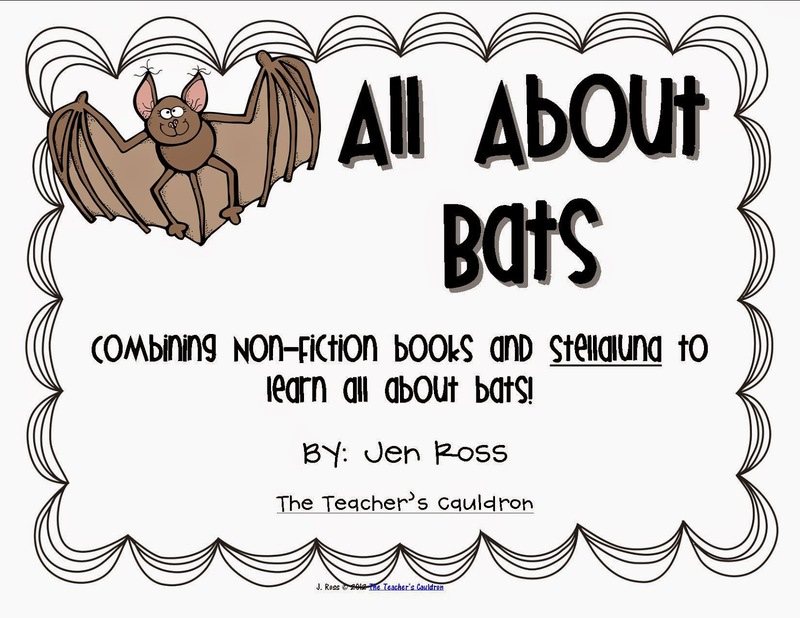 See some of the activities in this post in my Bats Unit! FABULOUS Post! 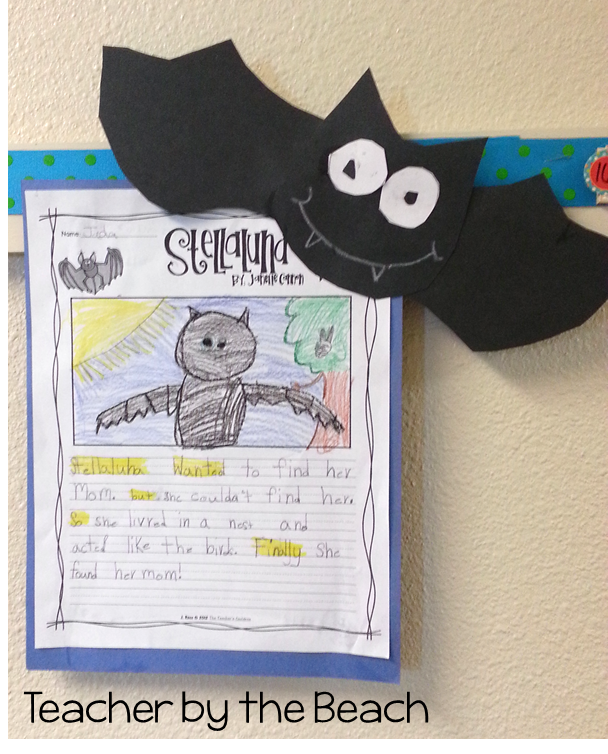 I get so giddy about the month of October and having such fun with Bats, Spiders, and Halloween! Oooo...I'm going to show that Youtube clip next week! Thanks for mentioning me with the drawing. I'm struggling to get my blog off the ground and this helps! Have a great rest of October. 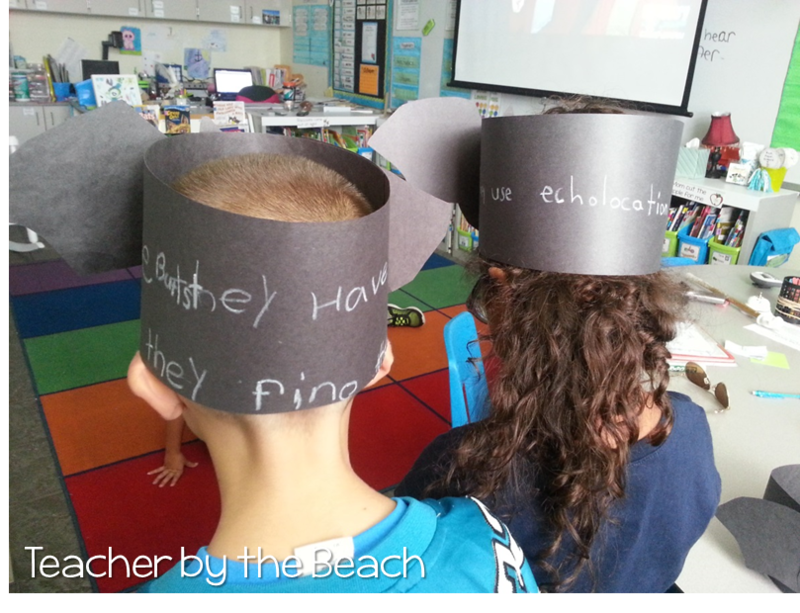 Love those cute bat hats!